The practice of burning or “branding” an insignia into livestock to signify ownership is thought to go all the way back to the ancient Egyptians, and became a common practice by the middle ages in Europe. In the 19th century, as the practice of mass production of consumer goods was beginning to surface, it became necessary to identify products in order to associate them with the producer of those products. 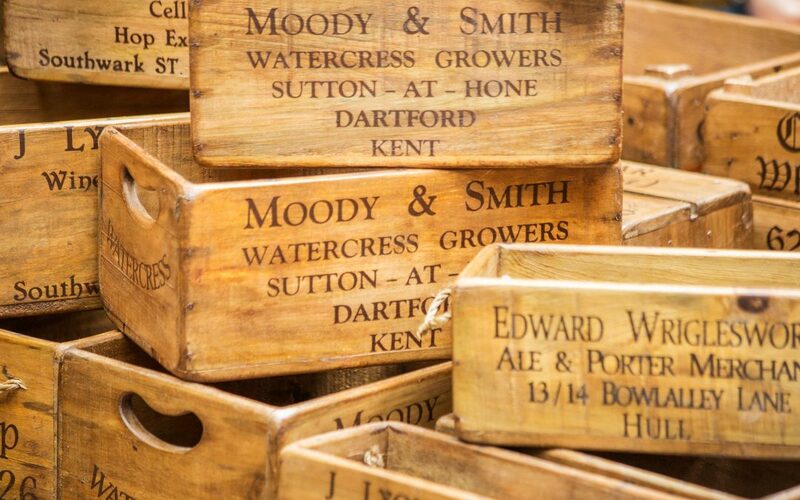 Insignias were burned into wooden crates, hence the term “branding” was carried over into the consumer products industry. When printed marketing became a common practice the term “brand” or “branding” carried over again into this new realm of identification. So, it is no accident that many people today tend to think of a brand as the visual identity of a company, such as a logo, color scheme and font style. Traditional marketing of the 1950s through the 80s was very focused on consumer research, needs and desires assessments, demographics and designing products for the mass market. So, the concept of a brand still fit with the way marketing was done, as it was primarily about identifying a product and associating that product with a particular need that was being fulfilled. Today, things have changed significantly, particularly in the past ten years. The Internet has had a lot to do with the changes in marketing, but even more so than the Internet, it is our belief that many people want more from the companies they do business with than merely to meet a physical, emotional or egoistic need or desire. Many people desire to do business with companies that they can connect with on a more visceral level. They want to do business with companies who stand for something they agree with or feel strongly about. It’s about feeling good about the products and services they purchase, more so than the needs they fulfill. But it goes even deeper than feeling good. Many people today want to believe in what a company stands for, which means that their product choices do not just represent a fulfilling of a need, but rather their choices provide some measure of meaning in their lives. The Walmart brand was built on price and selection. But changing times has prompted them to go deeper with their brand, because price and selection is no longer enough. Walmart is presently the largest retailer of organic products in the world. Their stores are partially powered by alternative energy and they are converting their trucks to hybrid and bio-diesel to reduce their energy consumption. Another example is the recent movement of Wells Fargo to “Re-Establish” themselves through a massive marketing and public relations campaign to regain trust. There are many examples of mainstream corporate brands who are endeavoring to go deeper with their brands in order to connect more deeply with their audience (or re-connect in the case of Wells Fargo). Which brings us to our definition of a brand. Our approach and philosophy to branding is that a brand represents every touch point a consumer has with a company. It’s the tone of voice of the person on the phone or how a customer is greeted. It’s how a place of business looks, feels and even smells. It’s the psychology of a color scheme. It’s the culture of a company and how leadership treats and respects its employees. It’s even the nature of relationships with investors, community and respect for the environment. It’s everything, and, including products and services and the visual marks of a company. A brand, in today’s world, is the total experience that a person has with a company and the feelings that that experience engenders. In this more expansive definition of a brand, the act of brand building becomes a holistic process. Marketing, therefore, is not motivated merely by how to gain more eyeballs or customers, but rather by how we convey what we are truly about. How do we convey our authentic essence in such a way that people really get us and want to connect with us? With this approach to branding and marketing, we are challenged to go deeper with our businesses—that in order for our brands to be truly authentic, we need for our driving purpose to be deeper than merely making money and generating profit. It can’t be just another slick marketing message, it has to be real. The essence of the societal change we’re referring to is that people (many, but by no means all) wish to go deeper to find more meaning in their lives, and by doing so they will become more intuitive over time. As they become more intuitive they will naturally want to feel into the brands they do business with, and as they feel into these brands with their new-found intuition they will naturally sense the difference between authentic and inauthentic brands. This is the core of our strategy and approach toward branding, which is to bring to the surface the core essence of a company and empower our clients to be more authentic in the way they do business and life, so that they may feel the freedom and joy that comes from doing meaningful work. And . . . a huge fringe benefit to this approach is attracting loyal customers and clients who find a deeper more visceral connection with the brands they do business with. This is insightful and helpful. I think people are more discerning than they used to be and this is a good thing for those of us who want to make the world better – not just increase the bottom line. Great article. I take away the importance of branding as — how do I, as a business, discover what makes this business unique? How to I express that to those I meet? When that is spot on, the fringe benefit is loyal customers for life who feel great every time they realize the choice they made to do business with us. You are spot on Barbara. Thank you for sharing and for venturing deeper into this conversation of What Is A Brand?